This entry was posted in Blue, Hair, Spring, T stands for Tuesday, Traveling Tea Cup, Virginia and tagged Invisalign, Photography, Quotes. Bookmark the permalink. That little chick on the spool of silk thread? Be Still My Heart!!! An amazing post! 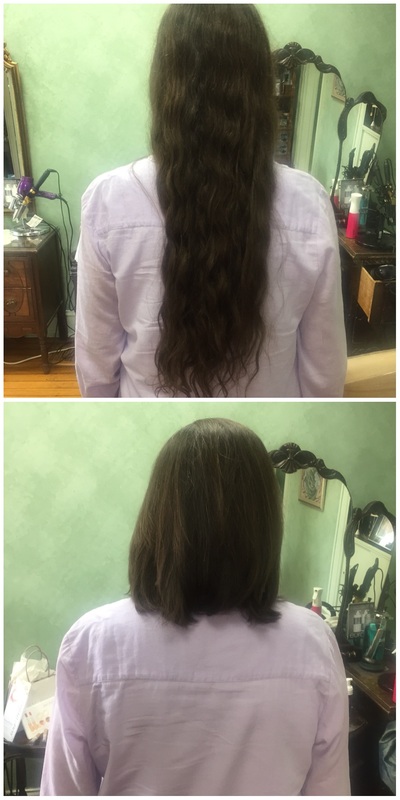 I love the photos and great that you have donated your beautiful hair! Happy Easter for you and Mr. Magpie! wow- you are full of surprises aren’t you? How does it feel to have all the weight of your pretty long hair gone? I bet you look so cute with the new cut. What a wonderful donation you have made. And braces-wow. But a year or so isn’t such a long time. My son had his on for 4 years! 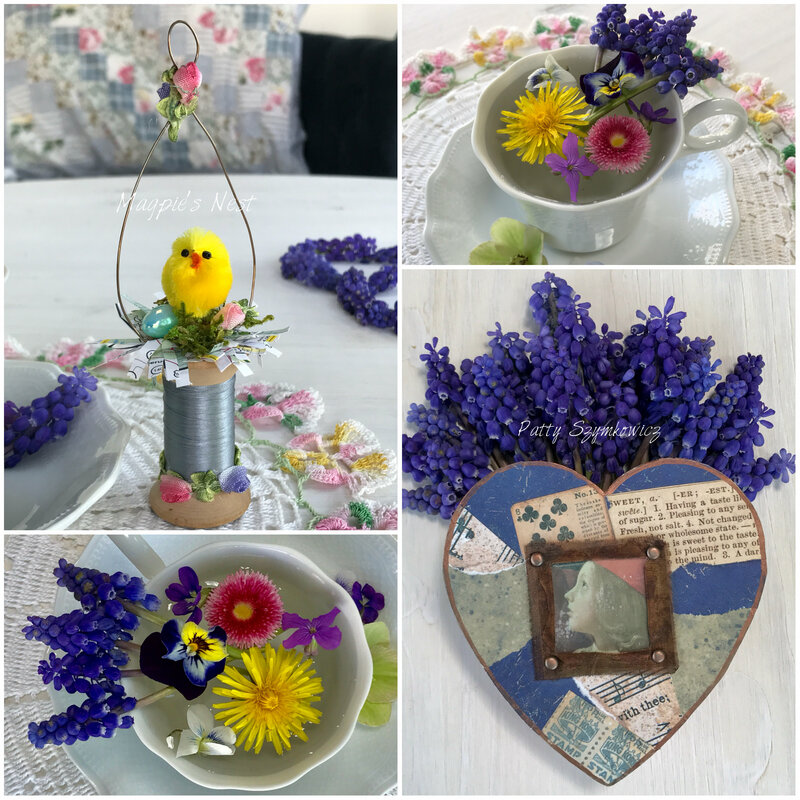 Lovely vignettes of Spring and Easter. I love your spool art and that sweet pocket of grape hyacinths along with those beautiful yellow flowers and quote. Happy T day, happy springtime, and a happy Easter too! 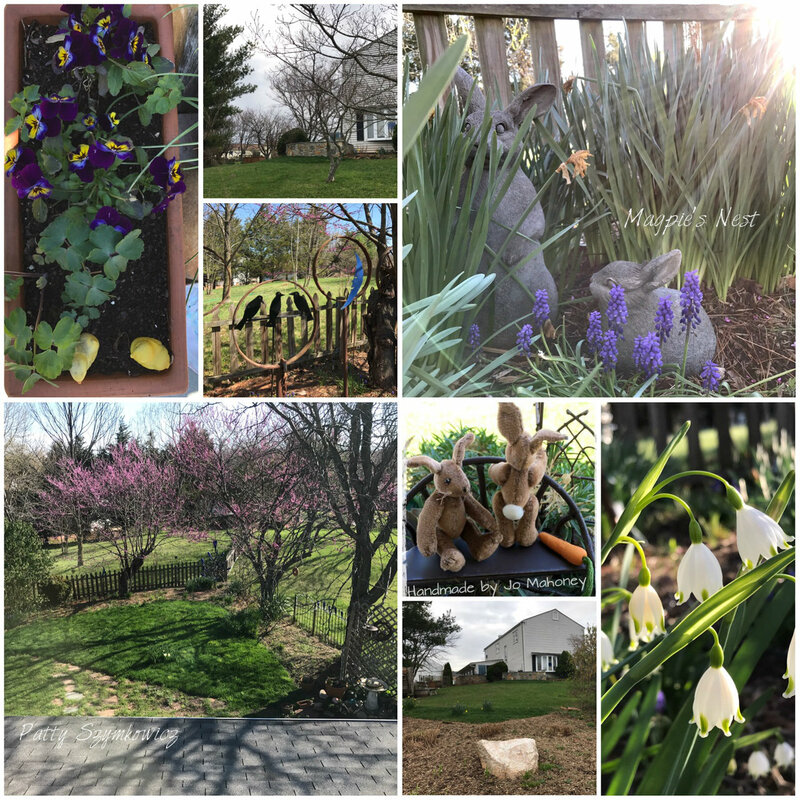 Beautiful garden photos, and such sunshine you have on them. Even the tiny chickens enjoy it out there 🙂 I`m sorry for you about the braces dear Patty, but you will get used to them , I`m sure, Is it both daytime and night ? I love watching you , to see your long and beautiful hair, and the length of it when cut, is so pretty too. I wish I could have it, but I`m not gifted with a beautiful hair, only a very thin one. Lovely, lovely flowers and decorations for Easter , dear friend, I admire your way with the flowers, always. It’s great that you donated your hair to charity and your flowers are beautiful! Such a generous gift to give your beautiful hair! The new style looks light and bouncy. Good luck with the braces. I’m sure it will be worth the pain and discomfort. 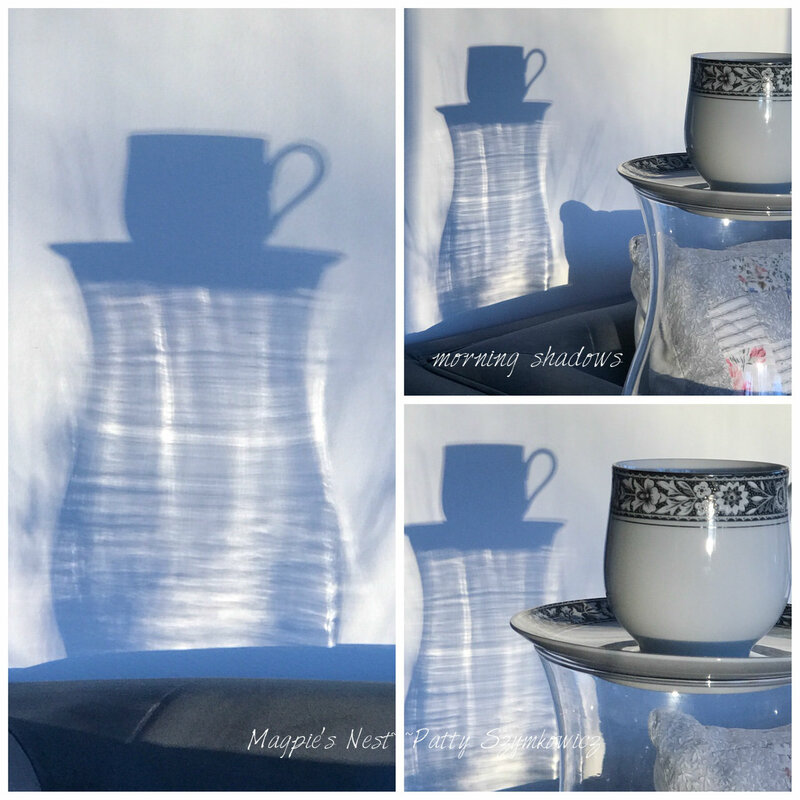 What great shadow pictures! PS – we have a bottle tree too! What amazing changes, both for you and your property. Halle’s daughter has donated hair this several times, and I was in awe. I think Halle may have done it once, too. Good for you. Your makeover is amazing. I simply adore the lovely mosaics you created, and I see you have been hit by the recycle bug, too. The way you add flowers to everything always makes me smile. And that last photo with the shadow was simply out of this world. Thanks for sharing these beautiful photos and your new “DO” with us for T this Tuesday. That photo is amazing! Good luck with the braces, and kudos to you for donating your locks. Well done Patty. I would be quite daunted by the prospect of wearing braces for a couple of years. It seems that both you AND your gorgeous garden are having a makeover. Great photo of the jug! Great Photos,wonderful flower artworks and the lovely filled tulips arranged like a still life look very good to me. Oh my what a generous lady you are. I’m sure your donation would be very much appreciated. I do like your new hair style as well. 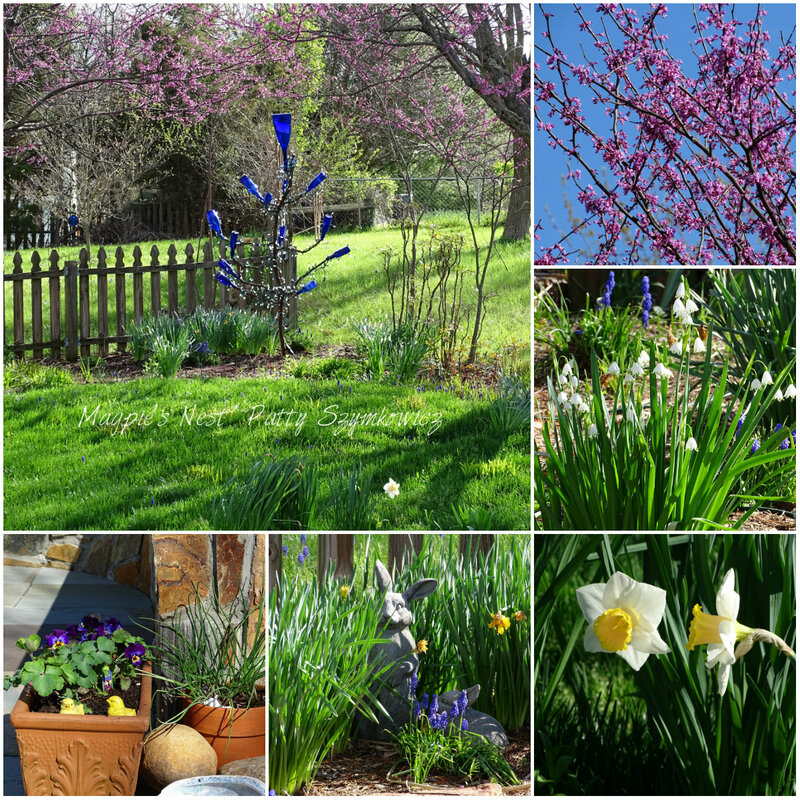 Great photos from your garden, the spring flowers are such a joy to see as they come through in spring. Happy T day and Happy Easter Patty. How wonderful of you to donate your hair. Your garden is just beautiful, and I’m quite smitten with the blue sculpture. Are those wine bottles? The little chick is cute and also the flowers in the teacup. What a unique way of displaying flowers, and that vase is just gorgeous. 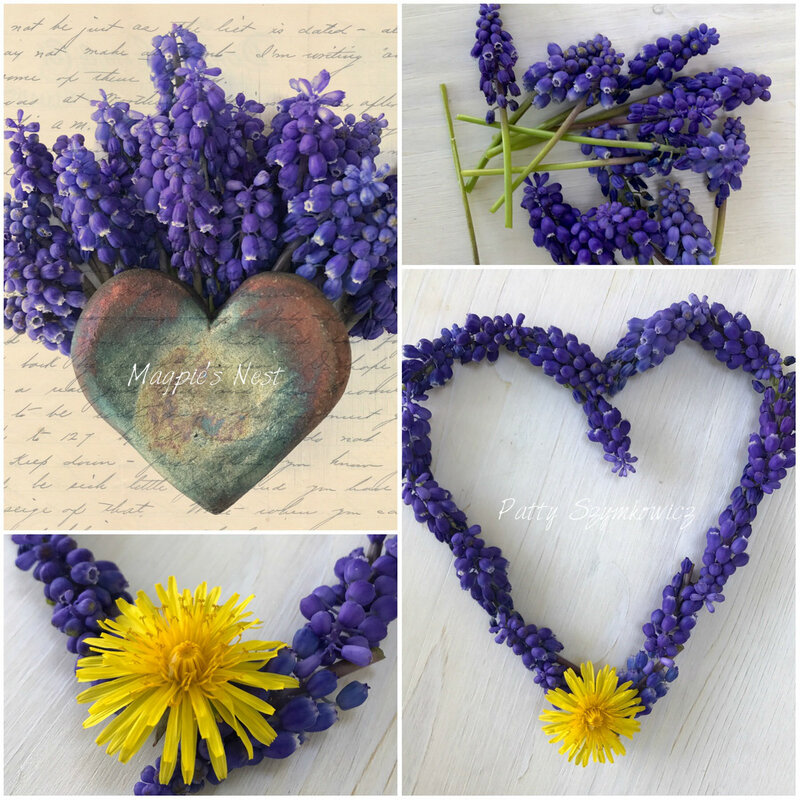 Truly stunning photos…adore those little grape hyacinths and your altered Easter decorations! wow, what a change in hair length…I bet you lost several pounds there! so kind of you, and a good cause indeed. good luck with the braces, and happy T day! wow, what a donation of your hair!! the head feels lighter then, doesn´t it? and i´m not sure i would be brave enough to go through the braces Thing, i´m sure that hurts (at least it was not fun for my son – but he had These wire things). your garden is a joy and i love all what you made with your plants. all those hyacinths, awesome! and a very impressing shadow photo as finish… great post! I only recently got a trim after one year and felt lighter so imagine how you are feeling with the big chop (all for a good cause makes it worthwhile). Braces. Yikes! I can feel my teeth are shifting as I get older. Food gets stuck in places it never did before. A friend of mine has been wearing braces for 6 years – and in between she had jaw surgery. Her ortho says 6 more months but she’s just about fed up. Her teeth/jaw just don’t want to move anymore so when the 6 months is up, she’s taking them off no matter what the doc says. 🙂 Living in a desert country makes me appreciate anything that’s wild and native and grows naturally. My little balcony gardens are still doing well but that will all change once the summer heat arrives. Have a wonderful Wednesday! A life changing week for you and for another lucky person who gets a beautiful wig from your hair. Wow! Such an awesome page..It is lovely that your hair will help make someone else happy…and it is a weight of your shoulders, ba-dump-bump. You have beautiful pictures of your garden, and love your decorations, especially the chick on the spool. That is a great quote too. Thank you for sharing such a burst of spring. Belated happy Tea day and a wonderful Wednesday to you. Your gardens and flowers are beautiful. I look forward to seeing more of them as everything comes into bloom. The chick on the spool is darling and all the grape hyacinth arrangements are lovely. Good luck with the braces. I finally got (much needed) braces in my 40s, but they were the metal kind. 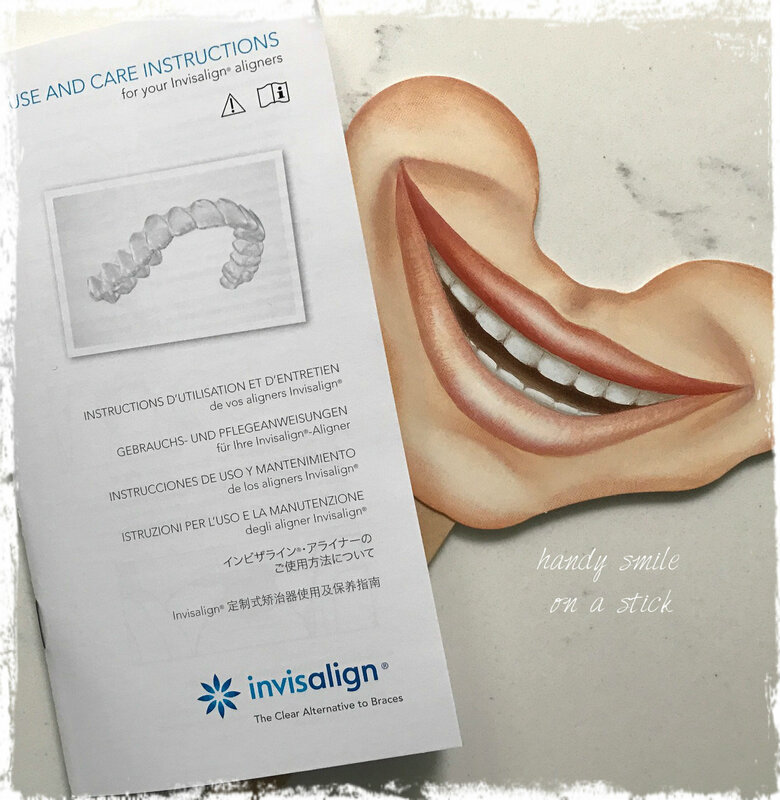 The invisalign should be much easier – but still an adjustment learning to talk and eat with them in the way. Good-Spring-morning dear one. Your ‘new’ hair is about as long as mine at the moment soulsis! I hope you get used to your braces – I never had them but it must be quite some change and strange to having those in your mouth all the time… good luck! I love your spring photos, we have ‘blauwe druifjes’ (you call them grape hyacint?) all over the city too – and beautiful weather to go with it – I want to decorate my balcony now (but it’s still a bit too early to do that – nights are cold still.) Sending warm kisses your way! Such a glorious post you shared today, full of spring and all things new again- perfect for Easter week! Beautiful photos. It’s wonderful to see so many flowers. It is still cold in London Canada, I’m just itching for some warm weather so that I can get out in the garden too. But for now, I’m really enjoying your photos. Great changes, Patty. Hair and teeth, they make such a difference to our looks. I hope you are enjoying your new hair. All your mosaics make my artistic heart beat faster. I adore the little yellow chicken in its lovely setting and seriously love the blue heart with everything on it. Oh, the blue Muscari are all around in our garden too, they are so beautiful with their blue at this time of year. 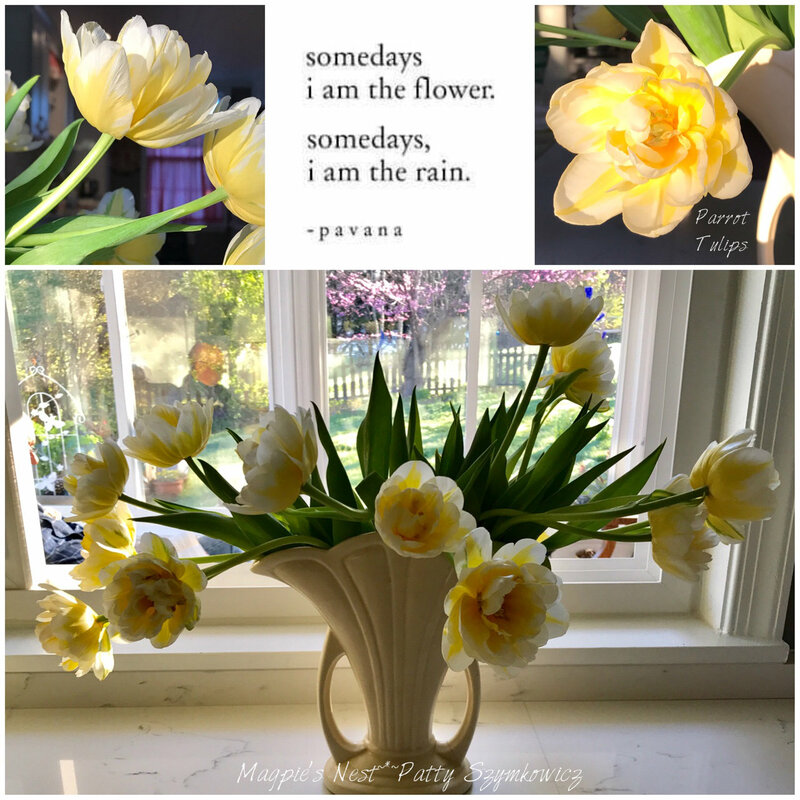 I am not sure whether to be the flower or rain today. Maybe I can be a flower in the rain? (it is raining right now). Your vignettes and still life photos are quite lovely. I love the spring shots.